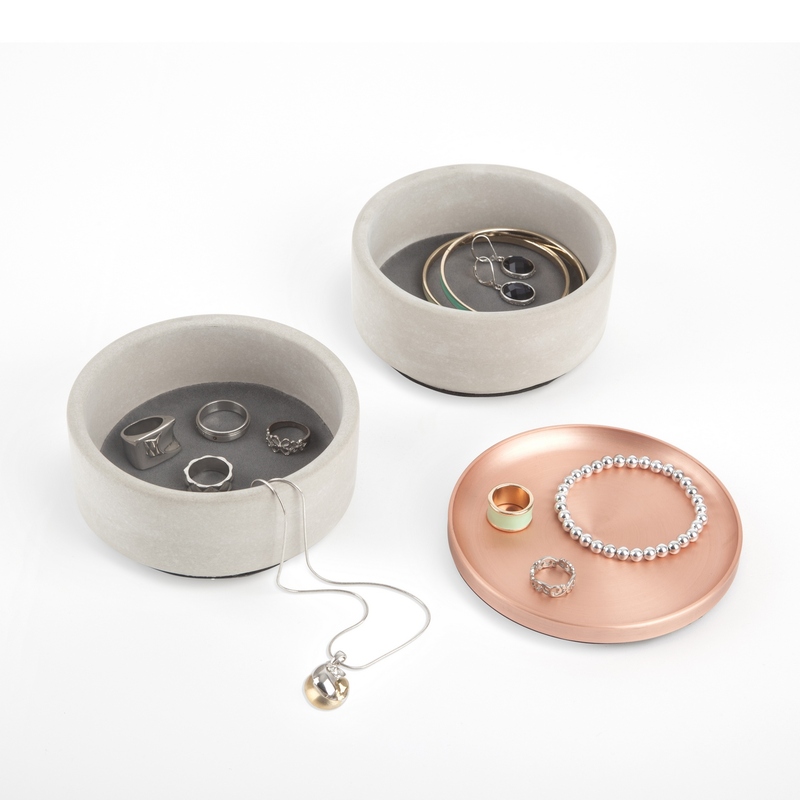 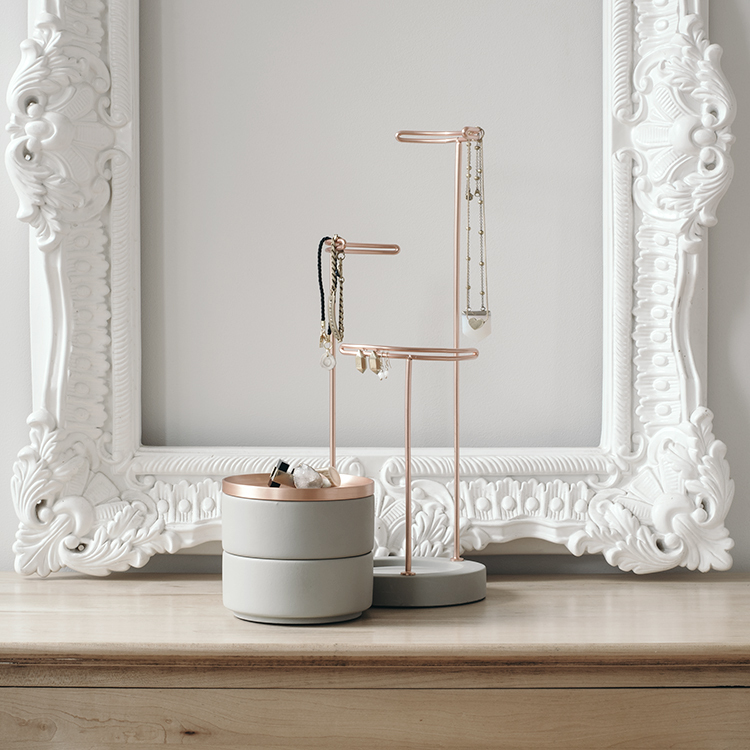 The Tesora jewelry box by Umbra is an elegant jewelry storage solution, made of concrete and copper plated metal. 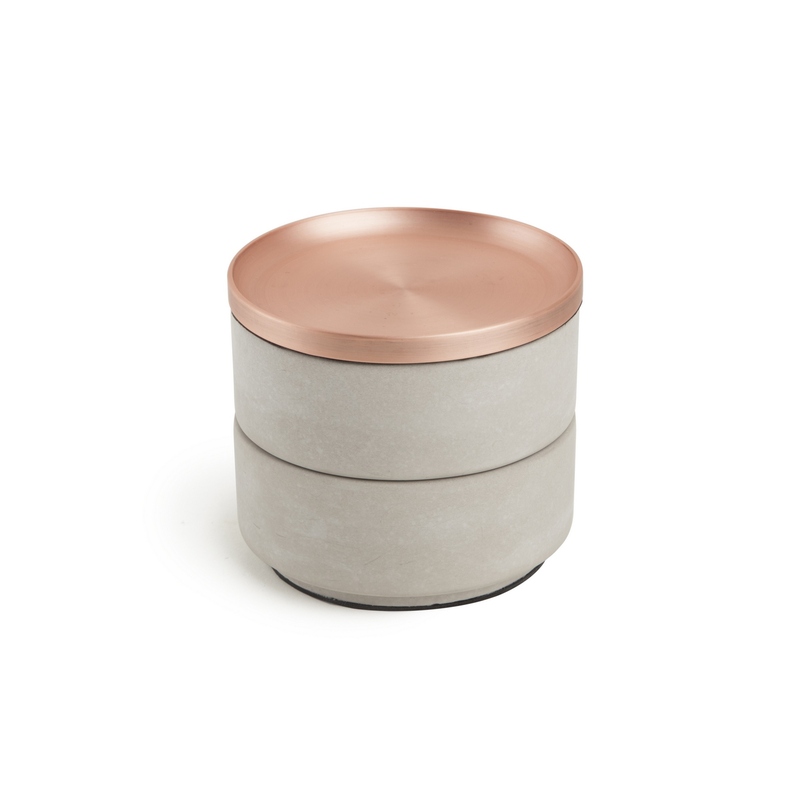 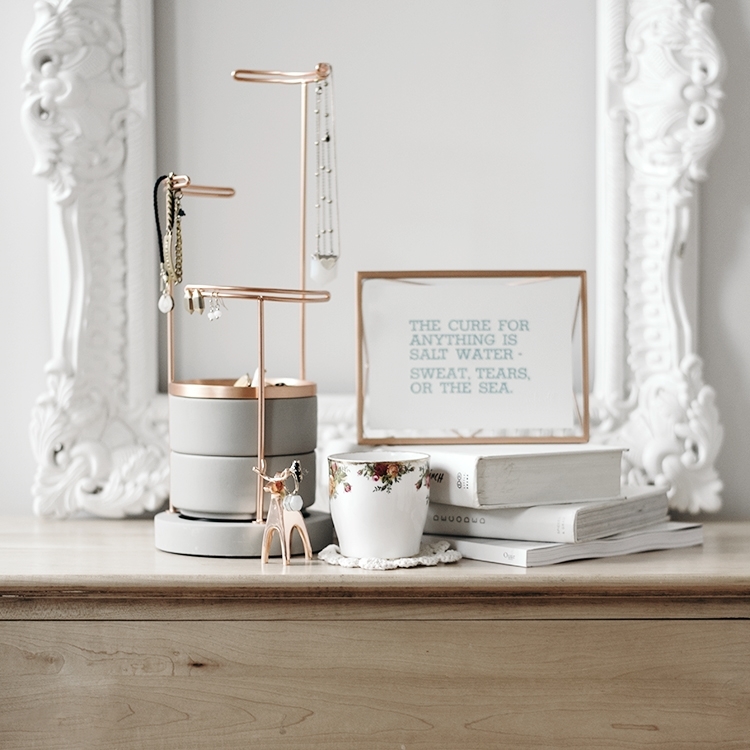 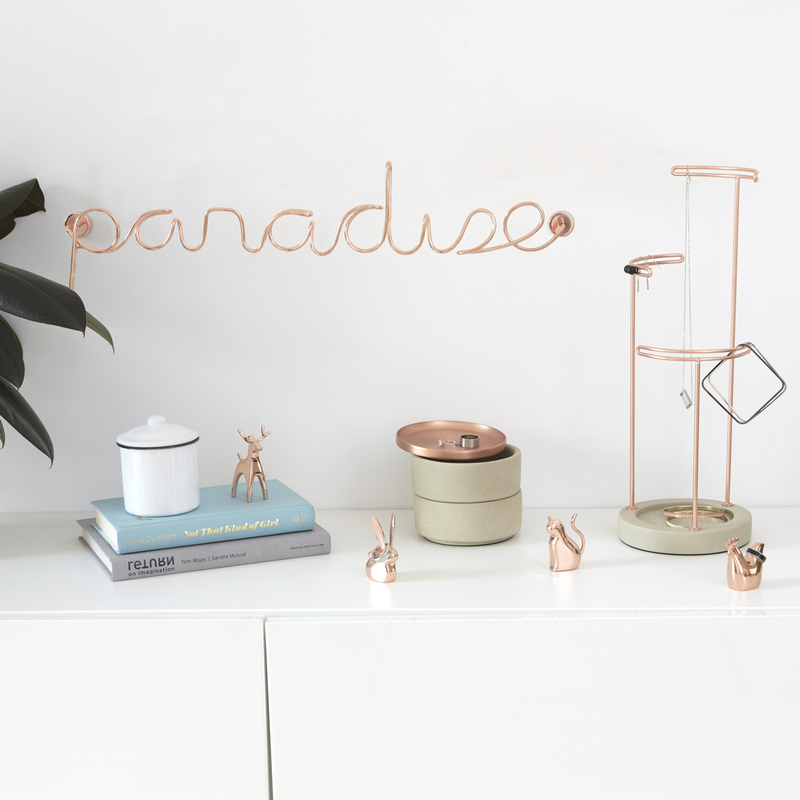 The contrasting properties of the copper and concrete produce a sophisticated object of modern decor. 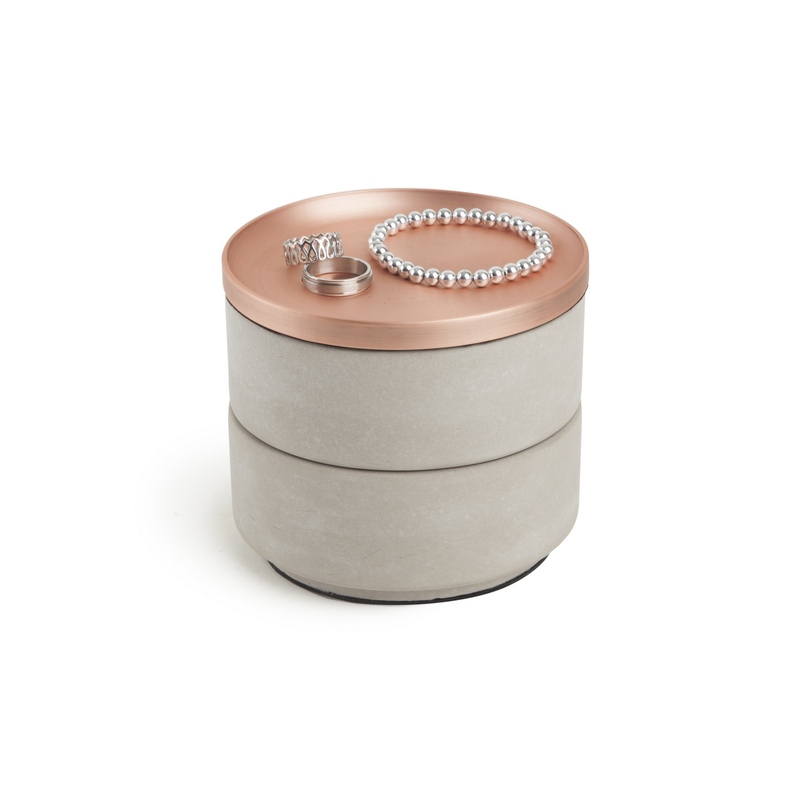 The two compartments are great for storing rings, earrings, bracelets and other treasures, while one compartment also has felt pillows.